The people of Sheffield have gone snooker mad, if you believe the posters plastered around town. Not snooker mad as in angry, like the folks of River City upon learning about trouble (that starts with T and that rhymes with P and that stands for pool), but rather mad as in excited and enthused, like the people of River City when envisioning 76 trombones and a big parade. 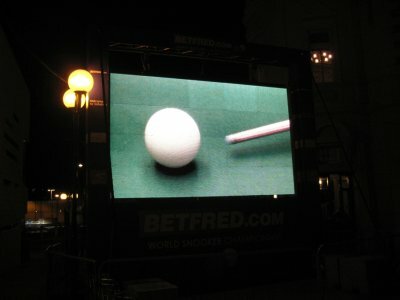 Every year in late April and early May, Sheffield plays host to the World Championship of Snooker. 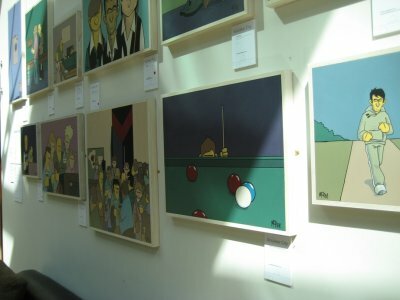 The best snooker players in the world come to this South Yorkshire town to determine who, at least for this year, is the best person in the world at striking little balls with another ball that had, in turned, been struck by the end of a long stick. When I was a teen, we used to play snooker at the local pool hall. Growing up in the suburbs where I did, as an underage teenager who couldn’t go to bars, you really had three choices for entertainment – movies, bowling and the pool hall. So my friends and I could often be found at Formac Billiards on Plains Road in Burlington knocking around billiards balls. We had a choice of two different games, pool (eight-ball) and snooker. Eight-ball, the most widely played “cue sport” in the world, is a game where there are 15 balls – 7 solid, 7 stripes and a black eight ball. In eight-ball, you are assigned (usually through sinking a ball within the first few frames) either solids or stripes. You have to sink your 7 balls, and then the eight ball before the other guy to win. This game is very popular in bars as a pay per game activity, as games go very quickly. Thus, after I got old enough to drink and go to bars, most of my billiards activities ended up being eight-ball. Back in high school though, when we were looking to fill a whole evening, snooker was the game. It is slower paced, and you have a lot more balls to sink on a larger table. You need to sink the 15 red balls, and then the 6 other coloured balls in order. Once the last ball (the black one) is potted, you add up the points and the person with the most points wins. Unlike eight-ball, a lot of the strategy in a well-played snooker match is to leave your opponent with a poor shot. If you manage to leave your opponent with no direct shot at the ball he next needs to hit, that is called “a snooker.” The game of snooker is much more cerebral and slow-paced than eight-ball. In high school, we would occasionally try and play the chess-match-like intellectual game of leaving our opponent snookered, but rarely had the ball control and skill necessary to pull it off. Instead, we were more likely to go for “maximum kinetic energy release,” i.e. hit the balls as hard as possible to get as many balls rolling around the table and hoping for something to happen. If a ball by chance happened to drop into a pocket, we would look up and give a slight nod, indicating that of course that is exactly what you expected to happen. Back in the here (Sheffield) and now (actual the recent past of Tuesday night), I figured that I couldn’t pass up a chance to see the world’s greatest players play the game that figured so heavily in my high school life. 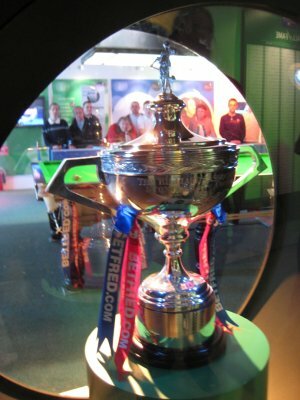 It was a chance to see snooker the way it is meant to be played. It would also have been incredibly lazy of me not to go, seeing as the matches were being held a block and a half from my hotel. The games had been sold out for weeks, but luckily due to some last minute returns, I was able to pick up a ticket at the box office on the day for the evening session. 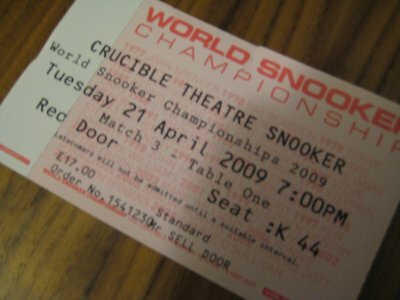 I gave the woman at the Crucible Theatre box office my £17, and in return she gave me one ticket for seat K44 to see the match on table one – 23rd ranked Nigel Bond versus world number nine Peter Ebdon. 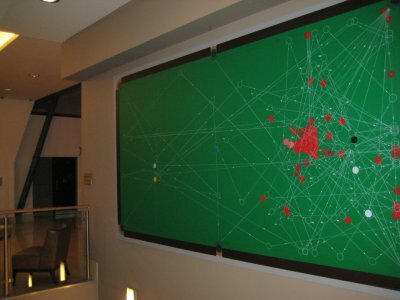 The full matches are 19 frames, which are split into two separate fixtures, usually of 9 or 10 frames. Ebdon and Bond had already played 8 frames, and Bond was up 5 to 3 over Ebdon. 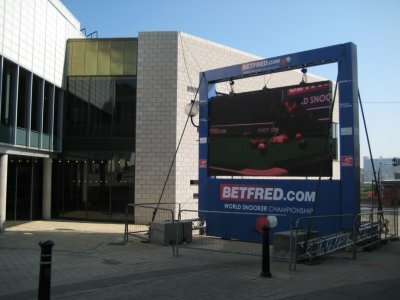 The 980 seat Crucible Theatre in the city centre of Sheffield is usually used for putting on plays, but every year since 1977 it has held the World Snooker Championships as well. With only 980 seats, there isn’t exactly a bad seat in the house, so as I grabbed my seats I was impressed of the view I had of the tables. The theatre is set up with two tables, and my seat near the centre of the theatre had decent views of both. I entered just as the player introductions were finishing, and they were introducing the “Thunder from Down Under,” Australian player Neil Robertson. Neil ran out, his highly-structured blond hair bouncing up and down, and waved to the crowd. 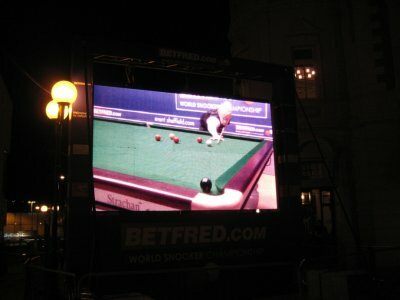 There was loud applause for Neil, and then the announcer heralded the arrival of Steve Davis. The crowd grew much louder. 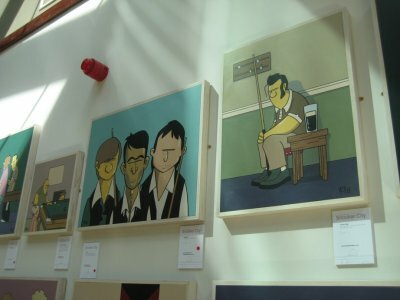 Steve Davis is the most successful snooker player in the world, having won more titles than any other, including 6 World Championships in the 1980s that he took here in the Crucible. Though now 51, he still plays snooker at a competitive level, as well as being a well known TV commentator. He was honoured with an OBE (Officer of the British Empire) in 2001. The applause for Steve Davis, OBE died down, and a screen partitioning the two tables from each other lowered from the ceiling. Despite the screen, sitting up in Row K near the centre of the theatre, I actually had a pretty decent view of both tables. As such, I could watch both the action on Table 1 (Bond versus Ebdon) as well as being able to see 85% of Table 2 for the Davis – Robertson match. As play was about to begin, the theatre hushed to a silence. The TV cameras took up their positions, focusing on the players’ sombre faces of concentration. 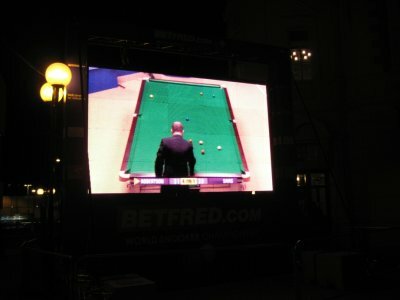 Had I not chosen to come down to the Crucible this evening, I could have stayed home and watched the action on the BBC. Snooker is a prime time sport here in England. When Davis was winning his 6 World Championships in the 1980s, it was figured that he was on TV more often than the Prime Minister. Play started with the traditional break. This involves knocking a few of the reds a few centimetres, leaving the other player with nothing to shoot at. The other guy then steps up, and ticks a red ball with the white, leaving his opponent with no opportunities to sink a ball. The first guy steps up, and then spends a good four minutes walking around the table, considering his options. During this time, the crowd is silent except for the occasionally cough. …stands up and reconsiders the whole table. It is not a very fast paced game. The players could probably grow moss if they didn't make the occasional walk around the table. All this time between shots allowed me to take a good look around. The crowd was pretty mixed, from young kids to senior citizens. There were folks that looked like they had just knocked off dry walling sitting next to guys in collared shirts who’d removed their ties to relax after a long day in the office. There were women in the crowd, some with boyfriends and some in small groups of other girls. Cameras and cell phones were not allowed (thus no pictures, though I have a few from the big-screen in Tudor Square outside the theatre for the overflow crowds), and the crowds adhered to the rules. Most of the 980 seats were filled, and everyone behaved impeccably, being silent when appropriate, offering polite applause at the first point, any difficult shot succeeded and any time a player snookered his opponent. Occasionally a voice would call out, “Come on, Steve,” offering a vocal cheer for Davis, but there were no other vocalisations during the matches, other than the referee announcing the scores. The action down on the floor was pretty leisurely paced. The most emotion seemed to come from the white-gloved, tuxedoed referee, whose job it was to replace the coloured balls on the table after they had been sunk and occasionally give the white cue ball a nice rub down (perhaps the cue ball gets tense and needs a massage). He would scowl at the crowd anytime there was a noise from the darkness, and if people were speaking at anything above a whisper, he would growl, “quiet, please.” He reminded me of Lurch from the Addams Family, but with a slightly better vocabulary. The players themselves were all wiry thin. I would have expected a few more fat guys, after all it isn’t exactly a highly active sport, but I guess all the fat guys go into darts. 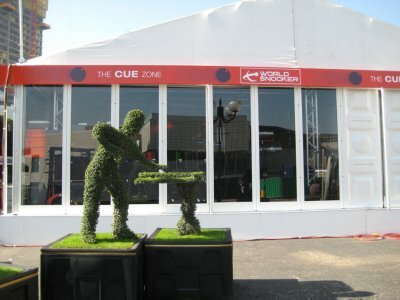 All the snooker players are skinny. They are all dressed similarly, in black pants, white shirts, black bowtie and a vest, making them appear like banquet hall waiters on the lam. Ebdon wore a blue vest instead of black, making him stand out. Everyone’s vest had a BetFred patch on it (sponsor of the tournament), but Ebdon’s vest included a patch advertising Emirates Airlines. Ebdon, the Arsenal of the snooker world. The blue vest, extra sponsorship and similarity of the name Ebdon to Udon, the tasty Japanese noodle were all factors in my decision to support Ebdon during the match. Of course, as there was no cheering allowed, supporting was more of an internal activity, involving nodding silent to myself and smiling when Ebdon made a decent shot, and frowning when things didn’t go his way. During one of the matches, someone’s digital watch beeped the hour. The ushers craned their necks to identify the offender, and once the offender was identified, they came over to have a quick word with the poor gent who forgot to silence his watch. The man must have been humiliated. For the next five minutes, I made sure to sit extra still, lest the ushers single me out. The crowds at snooker matches make the crowds at golf tournaments look like riotous mobs on a rampage. For some reason, the theatre had a faint chlorine smell, reminding me of sitting in the bleachers of public swimming pool waiting for swimming lessons to begin. I finally came to the conclusion that watching snooker was like a mix between being in church and being at the swimming pool, but with less organ music, no splashing and less anticipation of having a nice dip in cool water. Ebdon managed to win 2 frames, pulling even with Bond at 5 frames each. Bond then won the next frame, pulling himself up 6-5 over Ebdon. Over on Table 2, Robertson was pulling away from Davis, up 3 to 1. At this point there was a short break to allow the fans and the players to hit the toilets and grab a pint. I stood at the bar drinking a £3.10 pint of Carling, and contemplated the action I had seen. Each frame was taking close to 30 minutes to finish on average, with one of the frames stretching to almost 45 minutes. At one point, over on table 2, Robertson and Davis struck one lone red ball around the table (and between the coloured balls) for 15 minutes without anyone scoring a point. It was strategically excellent snooker and I appreciated that, however it was about as dull a spectator sport as I could imagine. During the matches, I had found myself yawning more than a few times. I caught a few others in the crowd mouths agape in a yawn as well. It was almost 9:45, and the match was probably not even halfway through. I imagined the horror of falling asleep in my seat and, god forbid, starting to snore. If the ushers nearly had coronaries over a digital watch beep, imagine the revulsion they would display towards me if I started to snort-grunt-sputter as I do when I snore. 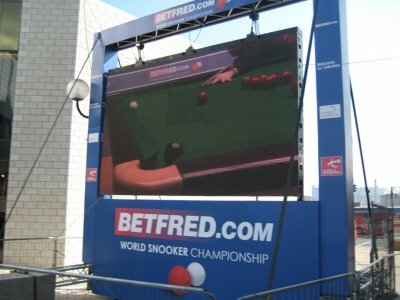 BetFred, the online and telephone betting service that sponsors the World Snooker Championships, had a booth set up in the lobby. One of the TVs was showing the Liverpool – Arsenal match, which Liverpool was leading 2 to 1 with 58 minutes gone. One of the ushers announced that play was about to restart. I debated staying out in the lobby and watching the football match, or heading back into the theatre. I decided to give the snooker one last try. Of the next 30 minutes, I yawned about 60 times. Occasionally I would hear cheers from out in the lobby from those who had made the opposite choice and stayed in the lobby to watch the football. Watching paint dry in a humid environment would have been more exciting and probably quicker than watching the snooker match. I was stuck in my seat until the frame ended though, but I quickly decided that at the end of the frame, I would flee. The frame ended and I got out into the lobby just in time to see the Liverpool and Arsenal players leaving the pitch, having wound up playing to a 4-4 tie, including 1 goal from each side in injury time. It was a match that was described as a “thrilling act of theatre” by Kevin Garside in the Telegraph, and a “classic” on the BBC. I sighed and headed home, letting the snooker matches unfold themselves without my observation. Ebdon, the Japanese noodle man, ended up losing to Bond in an upset. Robertson, meanwhile, took a commanding lead over Davis, ending the day up 7 to 2. If the people of (the fictional) River City, Iowa in the Music Man were really concerned about not letting their teenagers get in trouble, they shouldn’t of started a marching band (after all, we all know what happened that one time… at band camp…). They should have changed that pool hall into a snooker room, all that standing quietly and contemplating strategy, that’s got to be good for the discipline of young minds. A fantastic spectator sport, though, it does not make.